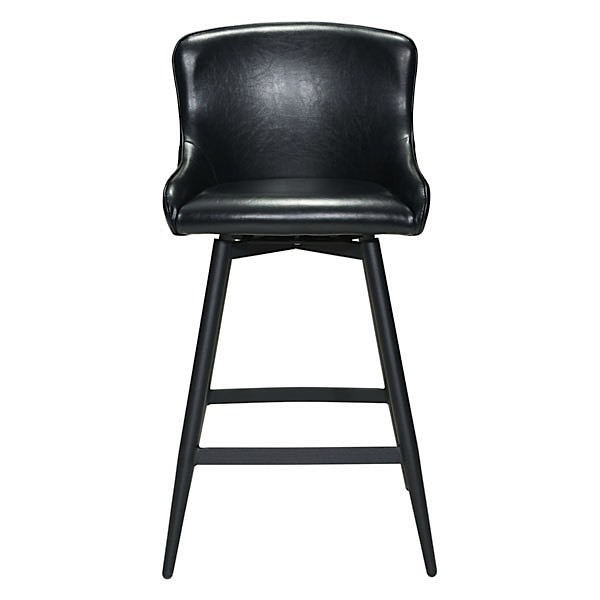 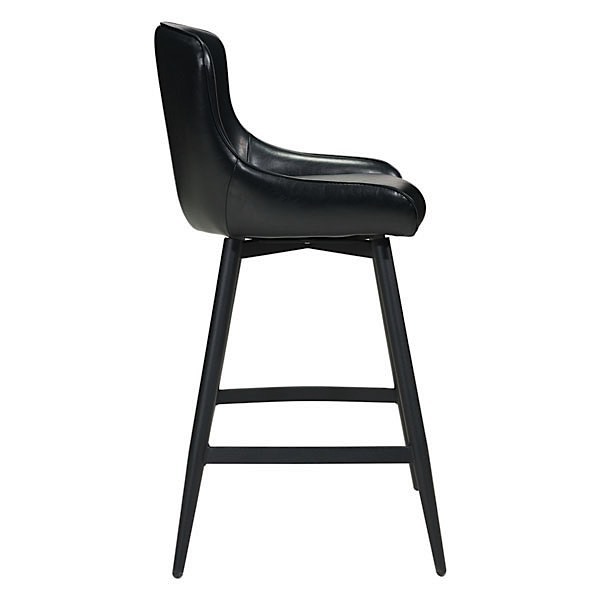 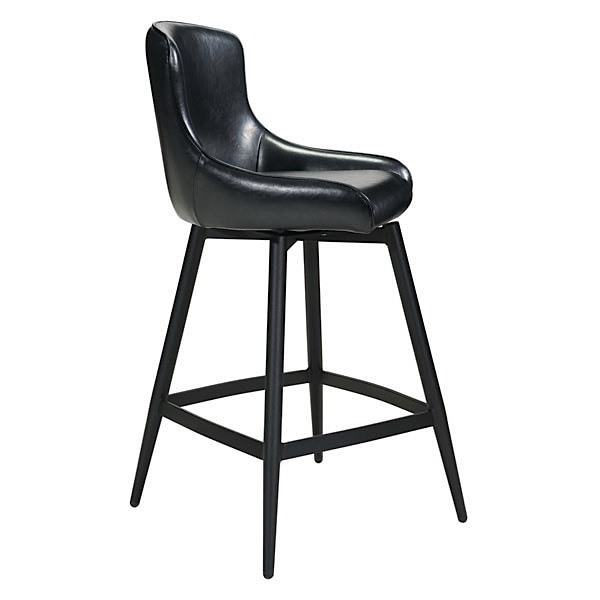 Dressed in all black, our handsome bar chair will look beautiful around your kitchen island or in your modern bar area. 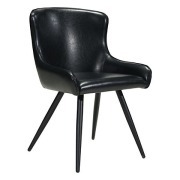 The sleek seat is wrapped in elegant, yet durable, black faux leather and will cradle you in comfort for hours on end. 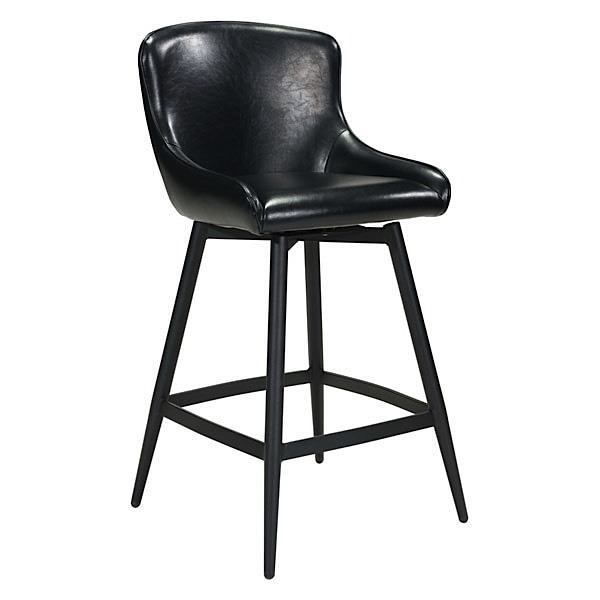 Dresden swivels 360 degrees and is firmly supported by slim, but sturdy steel legs. 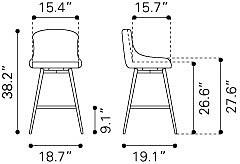 Seat height is 26.6". 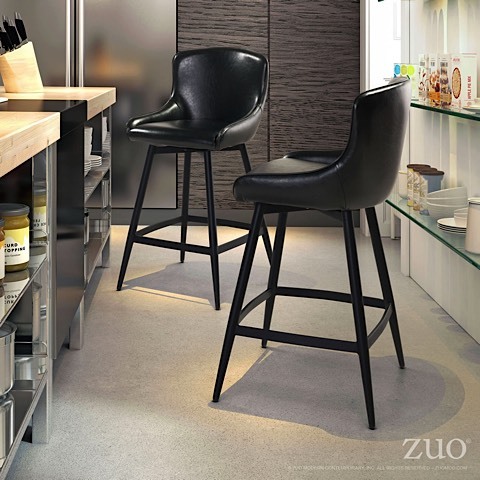 The weight capacity of the stool is 250 pounds. 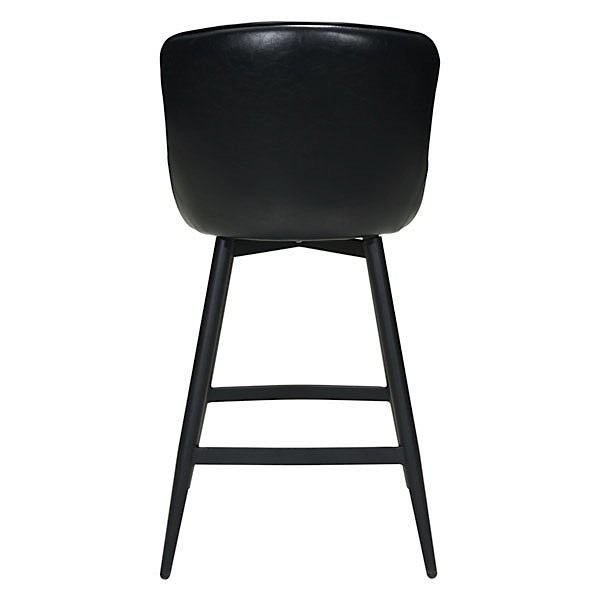 Coordinates with matching Dresden Dining Chairs.